With our vast array of quick, affordable, and hassle-free floor signs, we at Kansas City Sign Company are sure to have the perfect ones for your business. 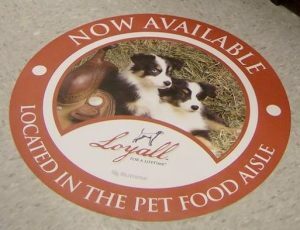 Our attractive vinyl floor signs are durable and long-lasting, providing attractive. Kansas City Sign Company’s proud team of graphic artists and sign specialists are ready to give your establishment top quality floor signs and designs. Call Kansas City Sign Company today at (816) 656-3114 for your Free Consultation! 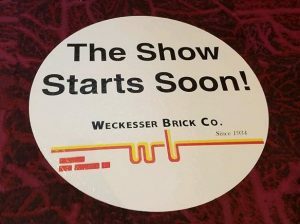 Having been in the sign-making industry for many years, Kansas City Sign Company knows that compromising a floor sign’s durability is not an option. By using only the best materials in our sign production process, we provide you signs that not only catch the eye and convey the message, they can do the job for a long time. 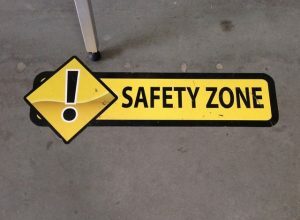 With our durable floor signs, you can save yourself from the unnecessary hassle and expenses of constantly replacing signs. 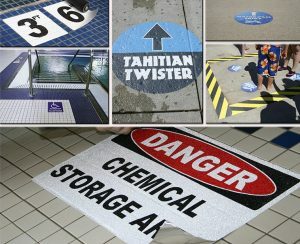 Kansas City Sign Company’s signs are created to heavy foot traffic, machinery traffic, water spills, and chemical spills. They can be easily cleaned and polished. Our floor signs are meant to last a long time without losing color and traction, giving your facility a consistently fresh and organized look. Kansas City Sign Company offers you a wide selection of material options: anti-slip surfaces, pebbled top surfaces, pre-printed floor tapes, and custom vinyl graphics to ensure you have the right signs for your needs. Kansas City Sign Company is not just about manufacturing signs, we are also about customizing them to fit your business identity. Our custom floor signs are attractive, durable, and made just for your business. We can’t wait to give your business the professional, organized, and efficient appeal it deserves with proper placement of appropriately sized signage elements. For budget-friendly signage that gets the job done, look no further than Kansas City Sign Company! Interested in learning more about how floor signs can positively impact your business growth, staff safety, and customer experience? We can help. Kansas City Sign Company is your local provider of attractive, custom commercial signs and graphics. Let’s discuss your needs today. Call Kansas City Sign Company today at (816) 656-3114 for your Free Consultation with a Floor Sign Expert!